Fishing is a fun thing to do. I went fishing a couple times and I caught a pin fish with shrimp for bait. It was really fun. 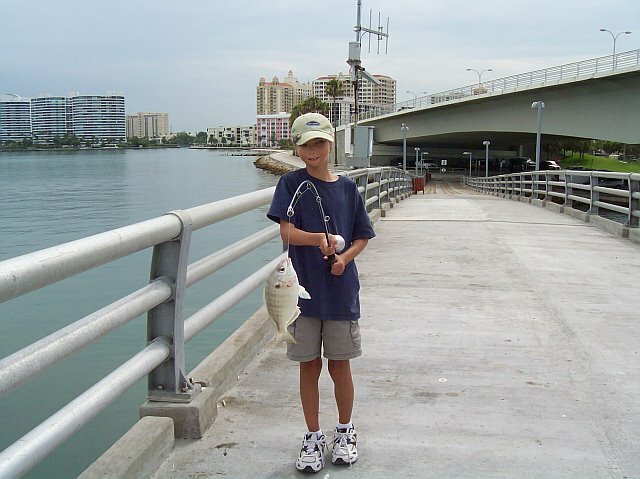 We go fishing under the Ringling Bridge in the Sarasota Bay. My rod is red and I got it at Target. « My Friends and I.